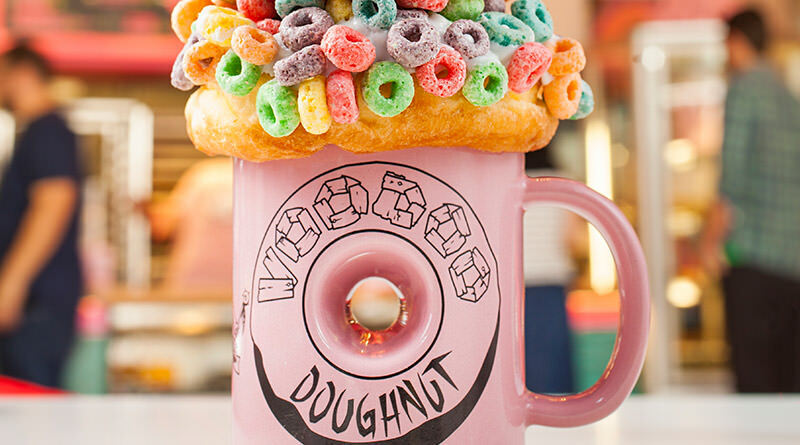 Voodoo Doughnut is the ultimate stop when you’re looking for the perfect way to satisfy your sweet tooth. 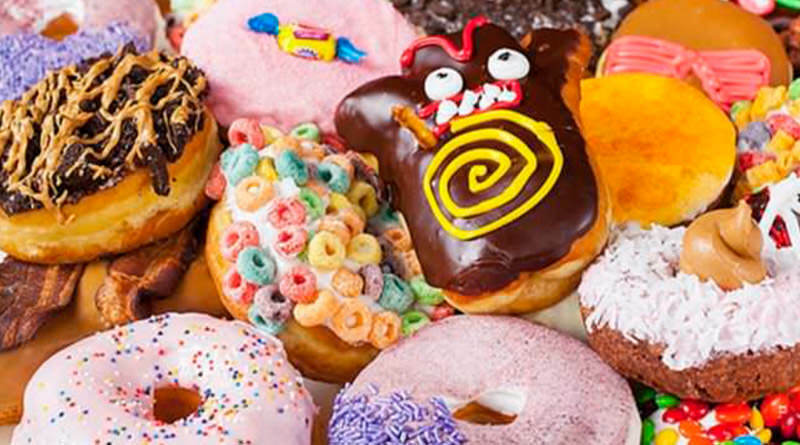 Located in Universal CityWalk to the right of NBC Sports Grill & Brew, Voodoo Doughnut serves up over 50 different varieties of the best pastries imaginable! 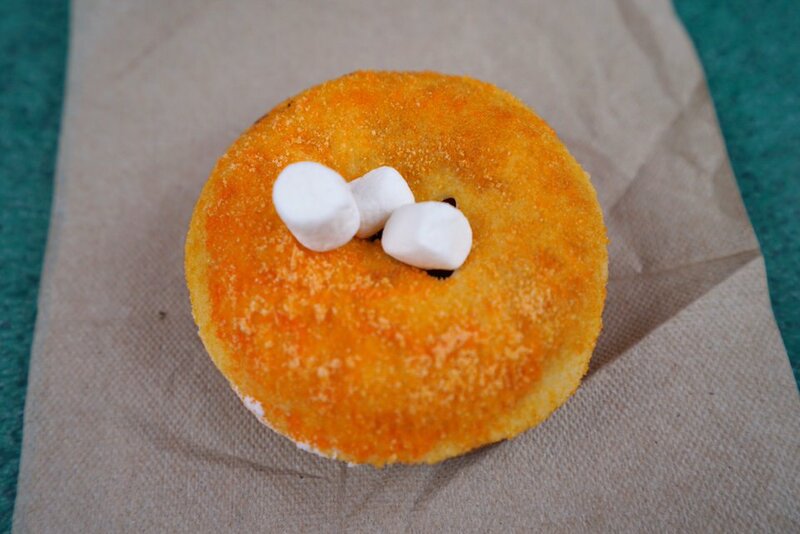 It doesn’t even matter which type of doughnut you prefer – there is something for everyone! Besides your normal cake and yeast doughnuts, you’ll even find vegan doughnuts. 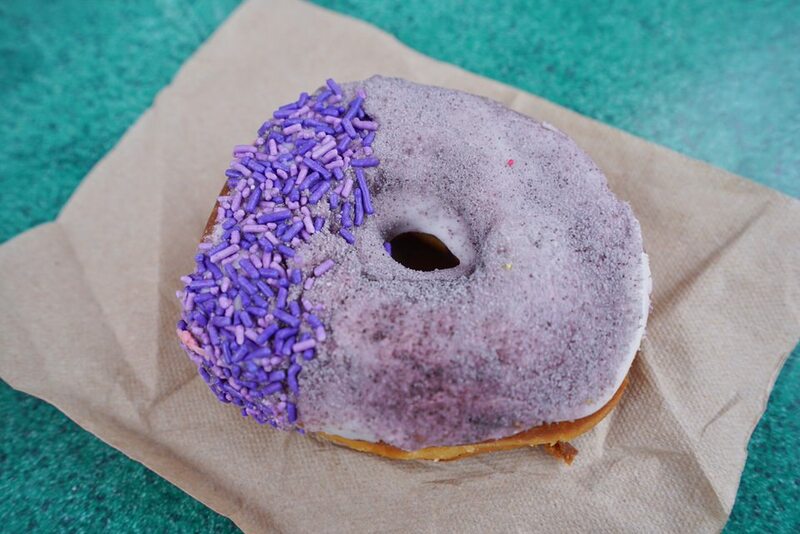 The house specialities include the Voodoo Doll, Bacon Maple Bar, and Grape Ape. However, some of our favorites have to be the Neapolitan, ODB and Mexican Hot Hot Hot Chocolate. 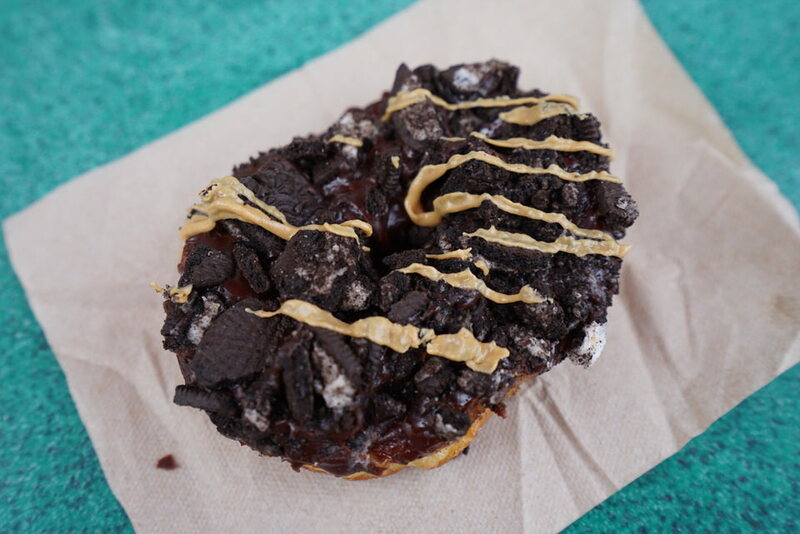 If you’re looking for something to fill up the entire family, look no further than the Memphis Mafia Fritter filled with banana chunks and cinnamon and topped with chocolate, peanut butter, peanuts, and chocolate chips. 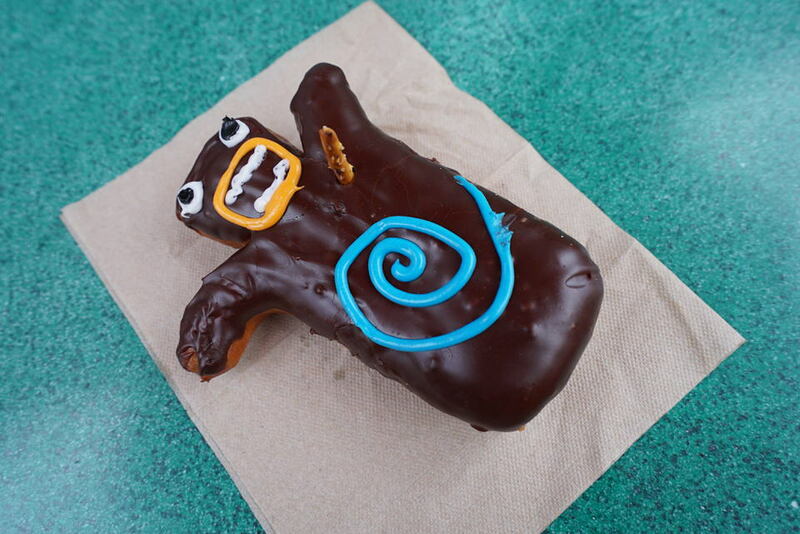 You really can’t choose anything wrong at Voodoo Doughnut! 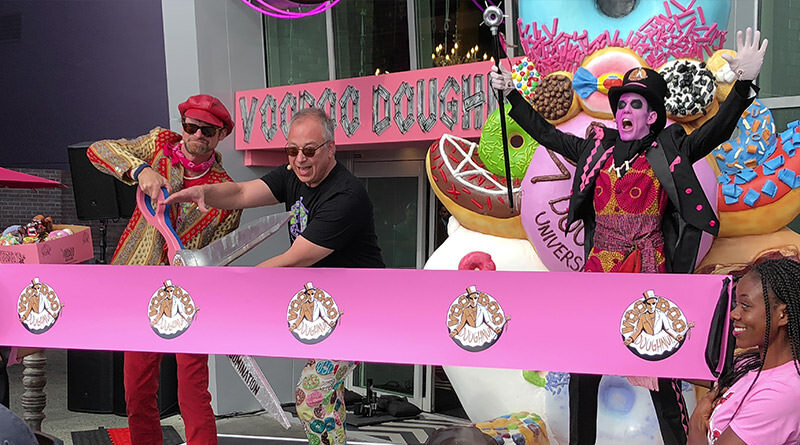 After a preview period that lasted well over a month, Voodoo Doughnut is officially open for business at Universal CityWalk!